Kimberly has created a wonderful grouping of biscornu. Small projects designed for stitching fun. What exactly is a biscornu? According to Wikipedia, a biscornu (bee-ss-corn-uh) is a small, 8-sided, stuffed ornamental pincushion. 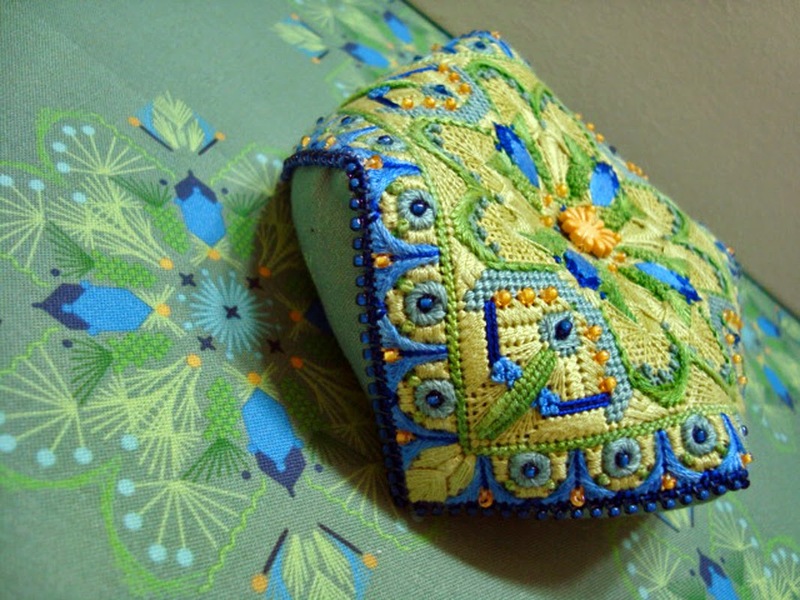 Embroidery is used to decorate the top and bottom of the cushion. A button is typically secured in the center of the cushion to give a small depression on the top. 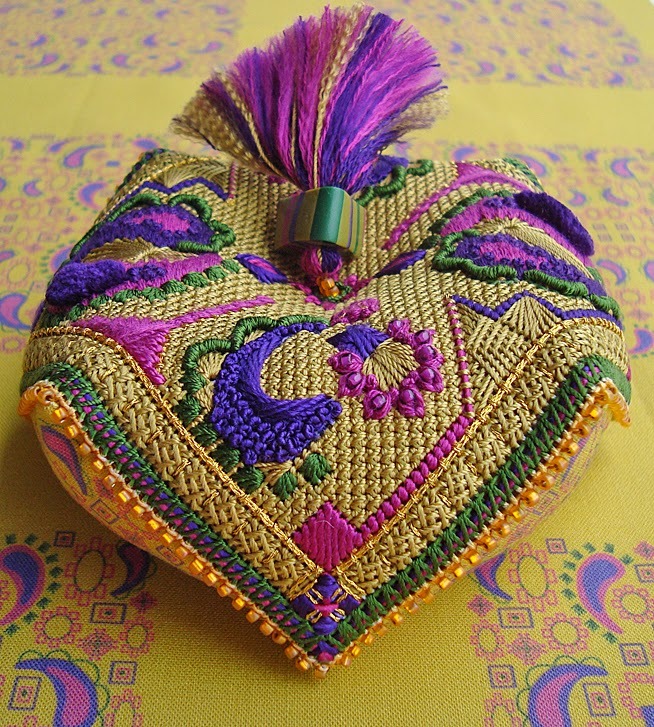 Beads, tassels and other objects can decorate the biscornu.The name is derived from the French adjective,biscornu, meaning skewed, quirky or irregular. I love that it means skewed, quirky or irregular. 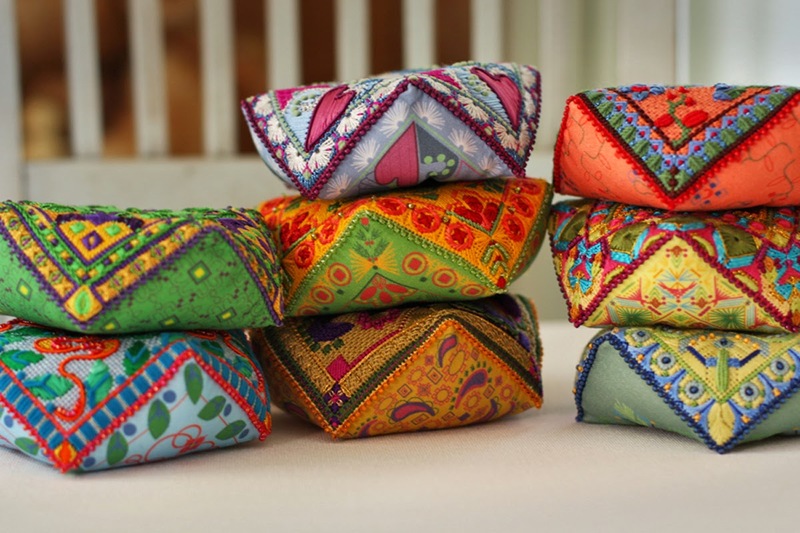 There are 8 in the series from Kimberly, each is available complete with stitch guide, matching fabric for the backside and the perfect button for the center top. These are just two of the eight available. You can see them all here. 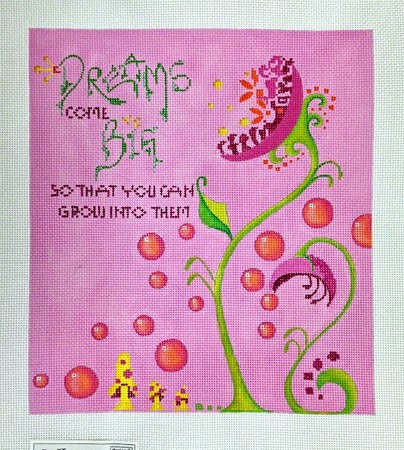 As long as I am sharing new designs from Kimberly, isn’t this the perfect little girl, big girl canvas? Check out the background on A Portion of My Garden. Only Kimberly brings a background to life like this. The perfect fusion of painted canvas and counted thread. This canvas is complete with stitch guide! 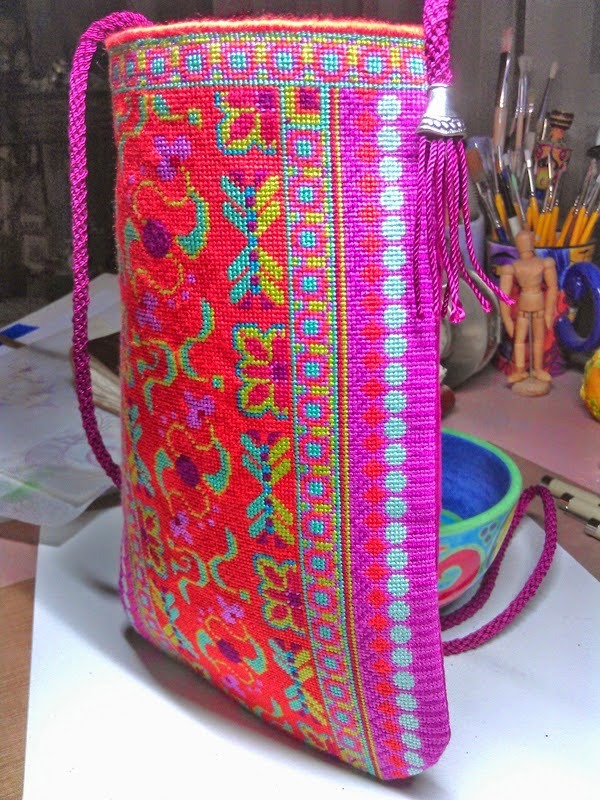 Remember this purse that Kimberly whipped up just before she came to teach? 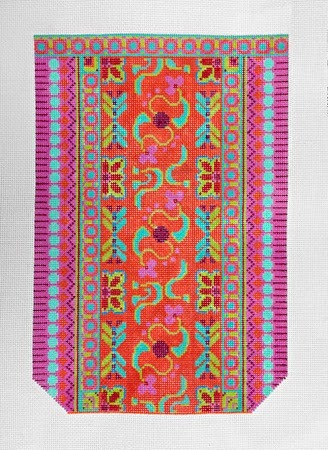 Here it is ready for you to stitch too! Great colors and patterns. Almost makes me want to basket weave. Now that’s saying something. Hope you are having a great Sunday. It’s a balmy 45 here today waiting for yesterday’s 10 inches of snow to melt. Oh! There you go again making me you fabulous! Thank you Ruth for being such a dynamo!! Hello Kimberly! My name is Bing from the Philippines. I saw your purse that you made by cross stitching. It's very beautiful… I love the colors & design. Could I possibly have a pattern copy of it? 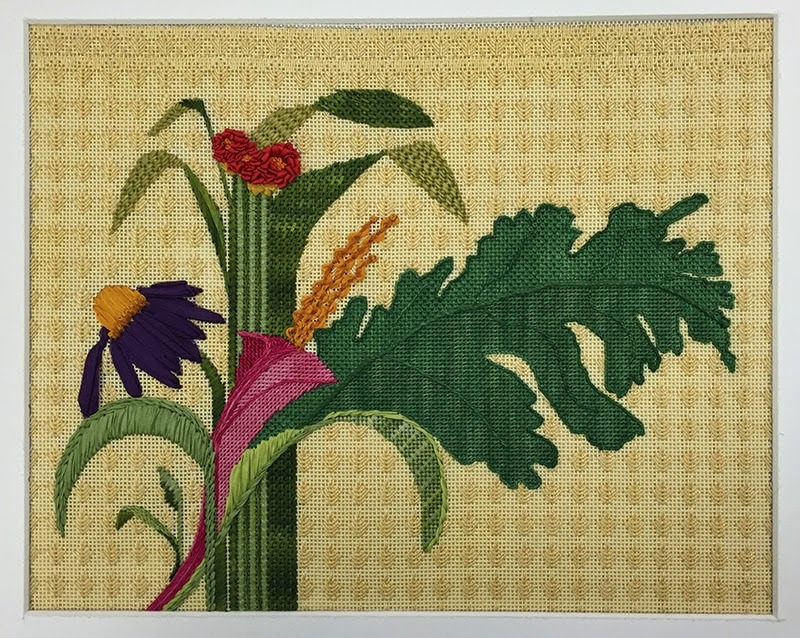 Can I buy a pattern or canvas for the purse shown here?